A MicroWriter ML3 Baby has been successfully installed at the university of Paris-Sud, in Orsay. 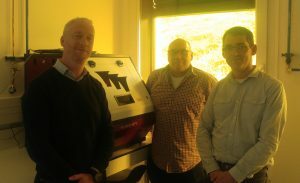 This is the first of DMO’s new third generation lithography tools in France. It will be used by a variety of users in the Laboratoire de Physique des Solides.